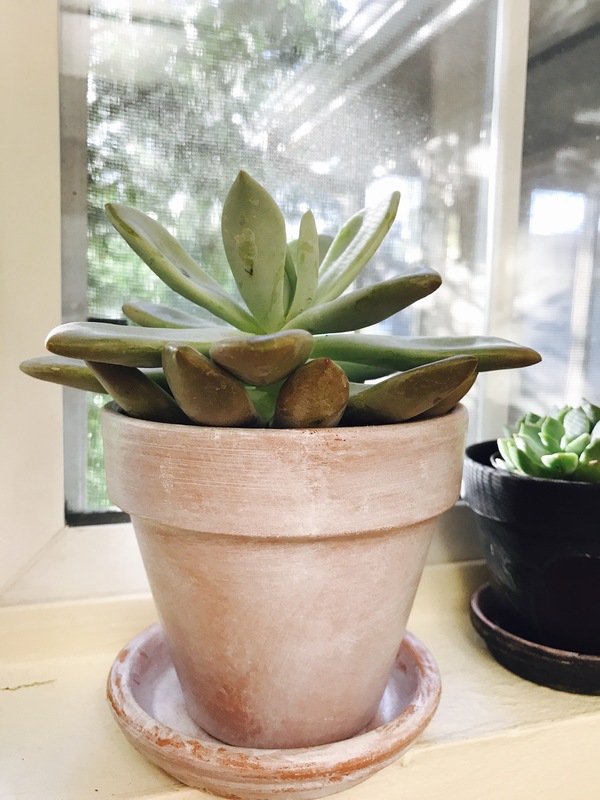 So, I love clay pots. Even in their plain color, I think they are lovely to have around the home. 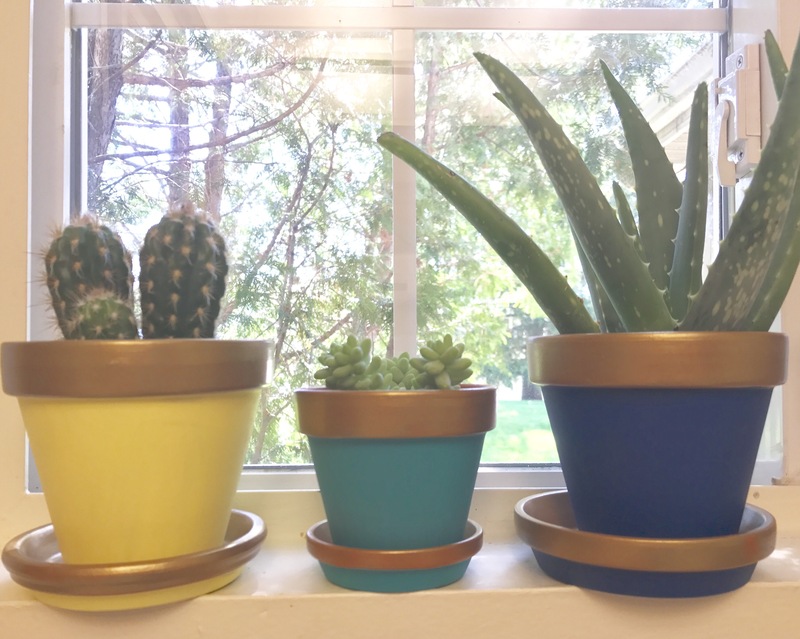 But with Spring & Summer colors everywhere we go now, I felt inspired to bring some colors into our little succulent garden we are working on. 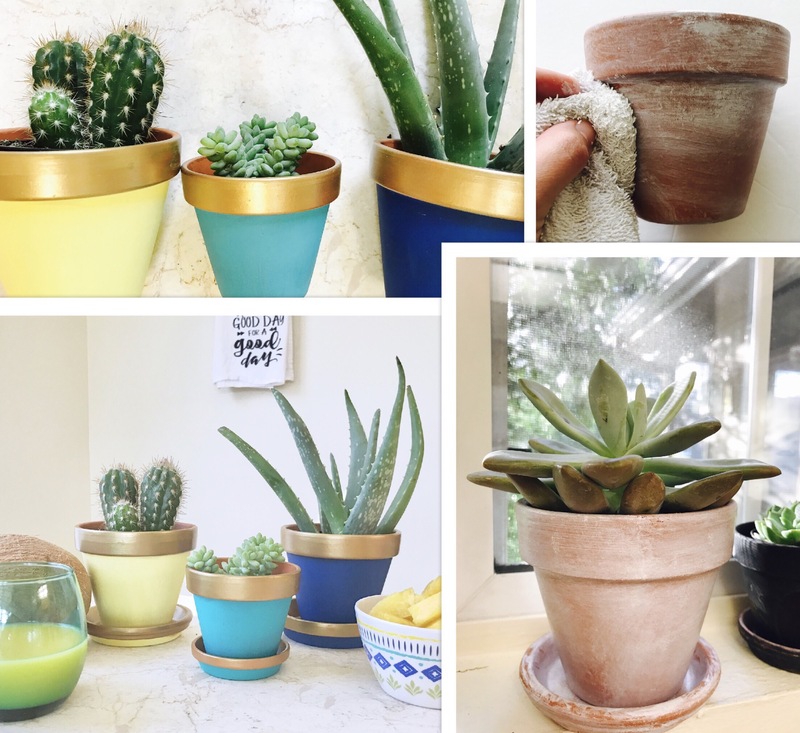 I also am in the middle of getting an herb garden going but more on that and those pots later ;)…Here are some the recent pots I worked on this past weekend and I’ll have more ideas coming soon! •This was so simple..make sure pots are nice and clean. 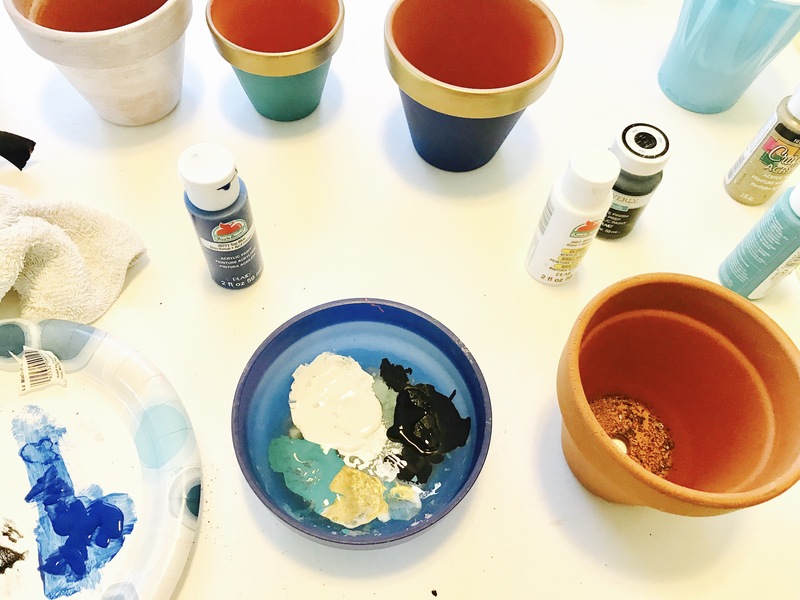 •Then do a few layers of your desired colors using medium sized paint brush for the base of pot and a smaller size brush for the rim. •You can tape off the sections to get very precise lines but I feel like they came out pretty without it still..
• I used gold for the rim of the pot & a themed color scheme for the base, then used the same color scheme on the rim and base of the plate too. •I chose colors I already had on hand but felt like they came out pretty trendy with a lot of stuff I am seeing now! So choose whatever color scheme speaks to you! 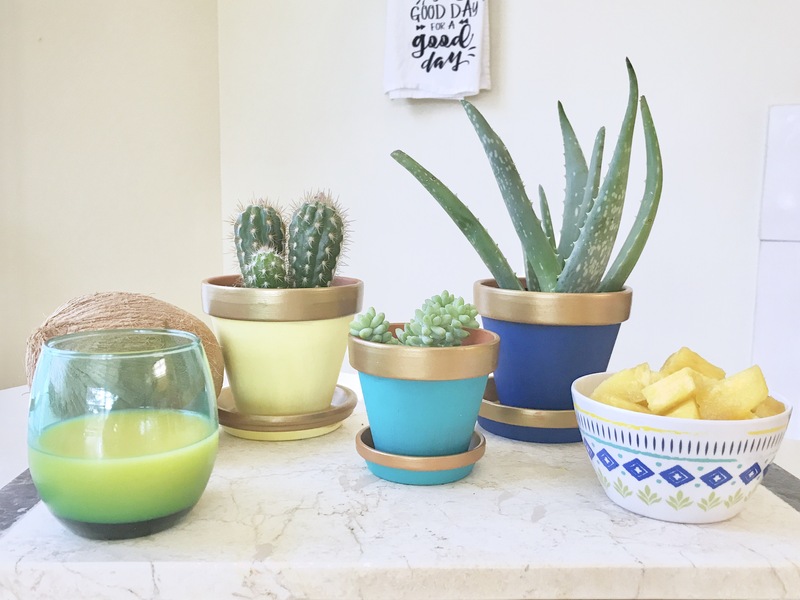 So here I chose to have a more farmhouse themed set of pots to be a little more neutral. 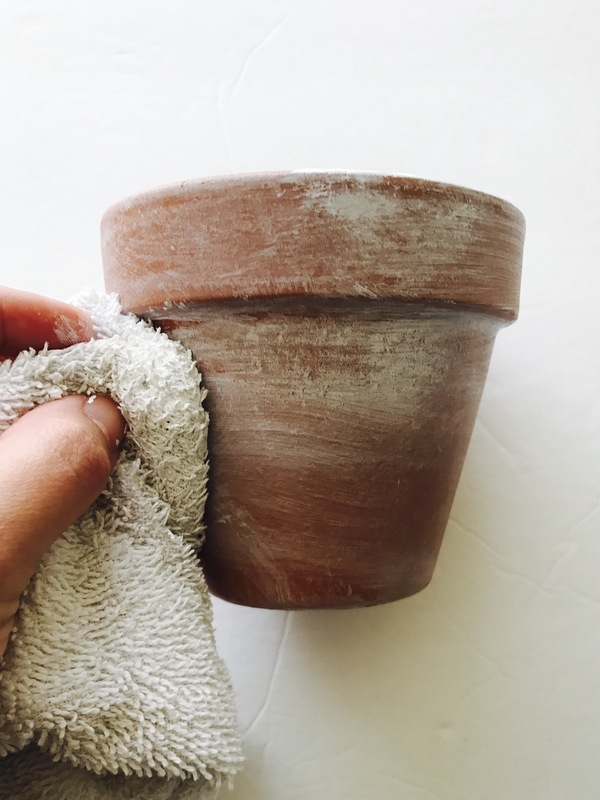 •Now I am not a precise person…I literally slapped some white acrylic paint onto the pot with a brush in various spots. •Then I took an old rag and smeared the color around to get the messy but lovely look. Do this for the pot and the plate. 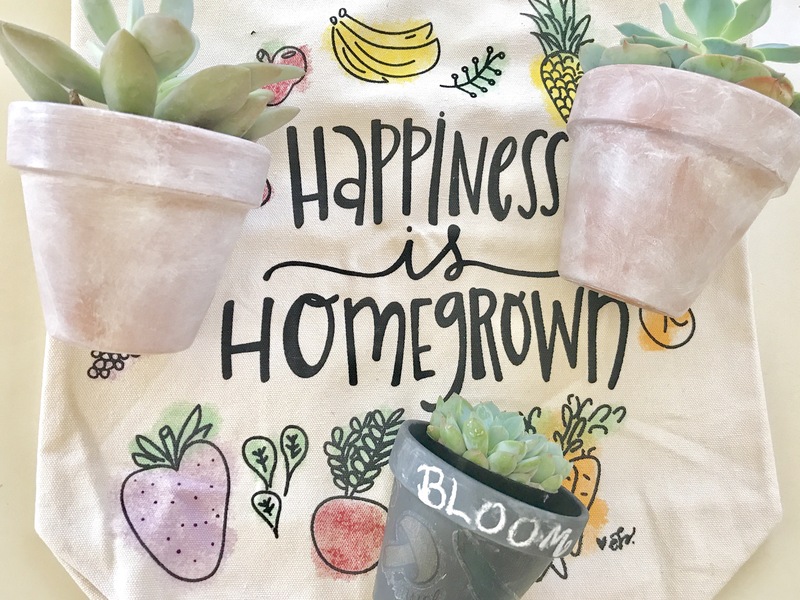 •Then for the little chalkboard pot I just used a paint brush and completely covered it in the chalk paint. 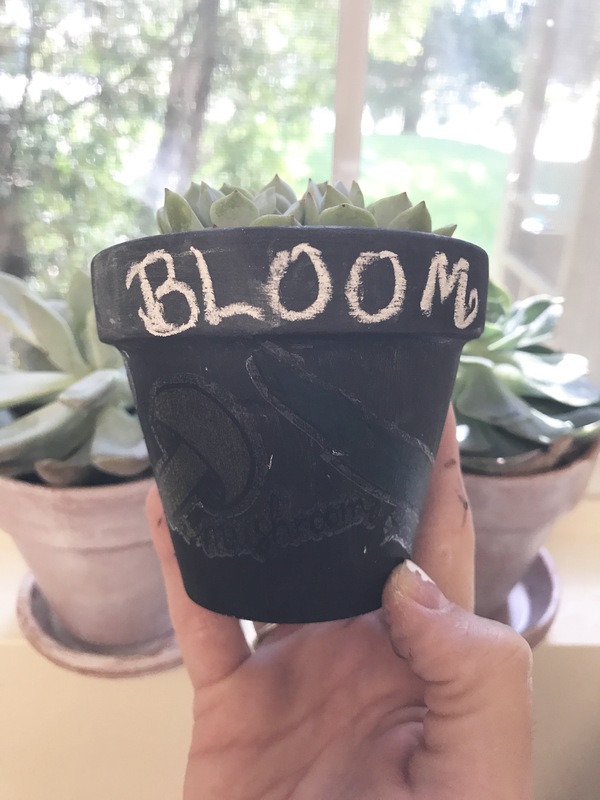 •Chalk paint comes in various colors..but I had black on hand and had messed this pot up a bit so it turned into a chalkboard one to save its life…. 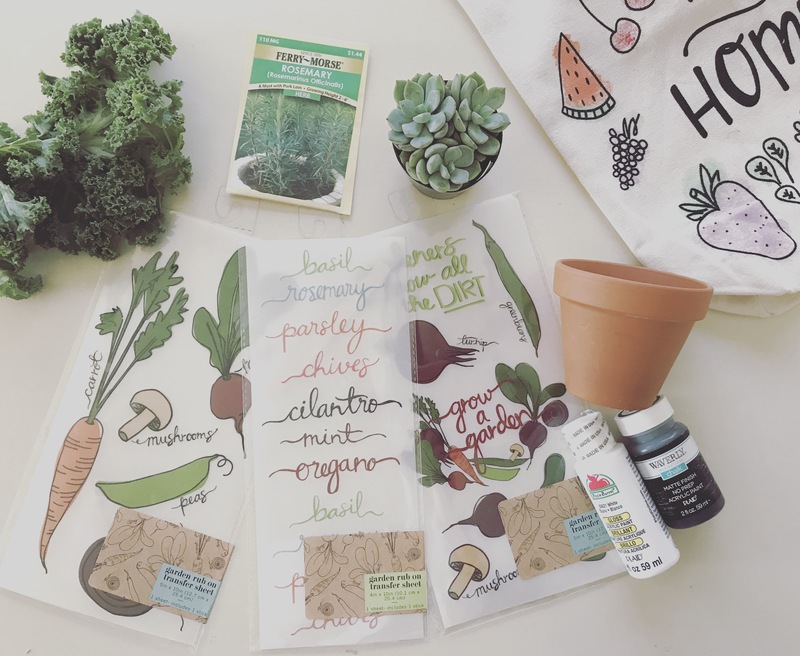 •It also has some cute rub on transfer prints of veggies but pictures don’t really do justice at all! So easy and fun to do! 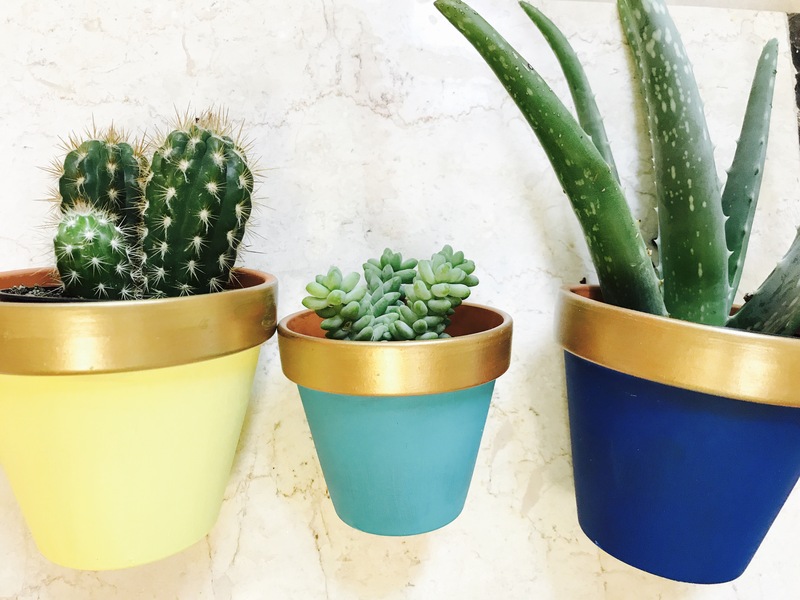 It’s a cheap & cute way to decorate too! 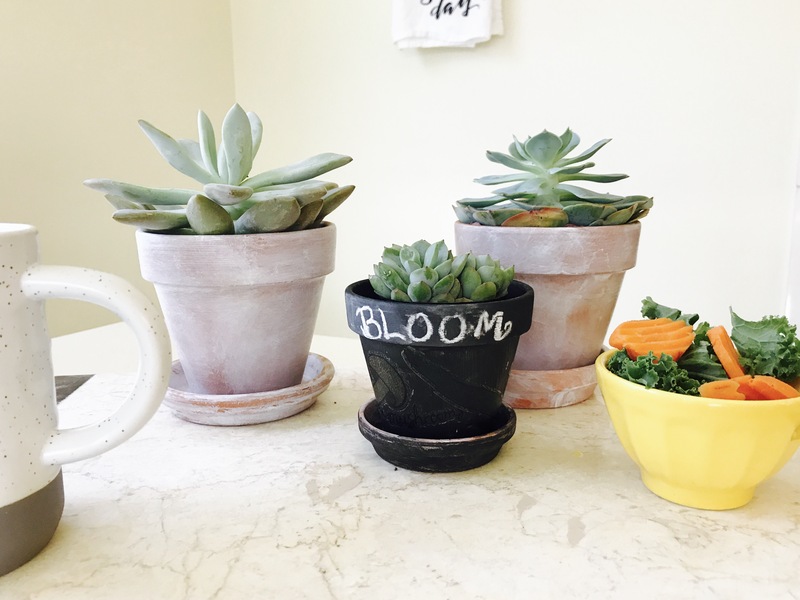 These were not all the pots I did, so stayed tuned for more ideas later babes! Hope you enjoyed & let me know what you think!